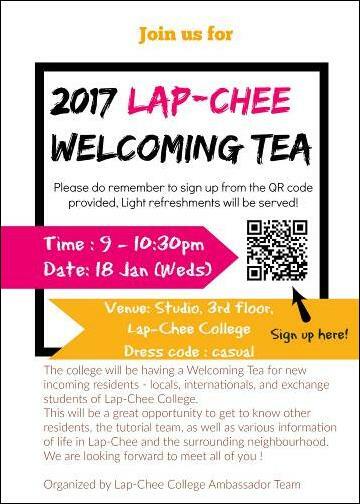 The college will be having a Welcoming Tea for new incoming residents of Lap-Chee College. This will be a great opportunity to get to know other residents, the tutorial team, as well as various information of life in Lap-Chee and the surrounding neighbourhood. Do drop by to get to know us better! !